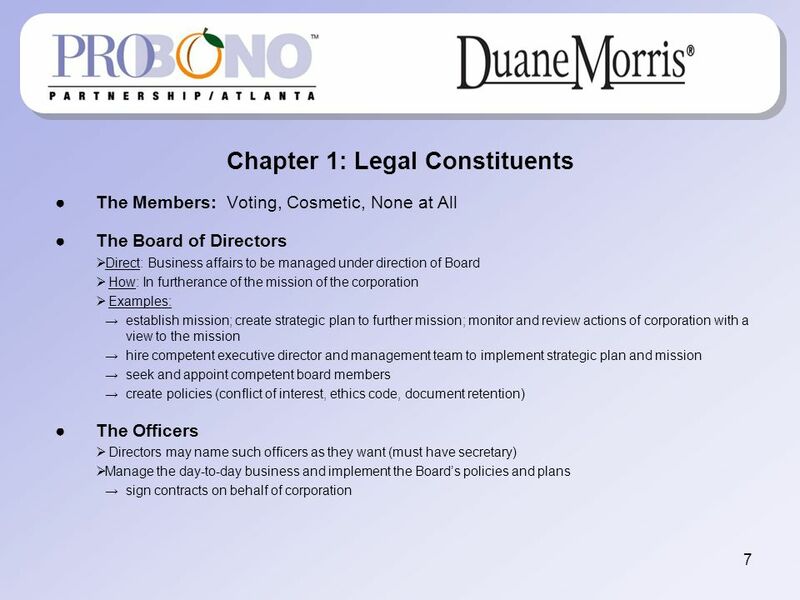 LEGAL RESPONSIBILITIES OF BOARD MEMBERS Mona Maerz – Duane Morris October 7, 2009 *This paper is not intended as legal advice for any specific person or. 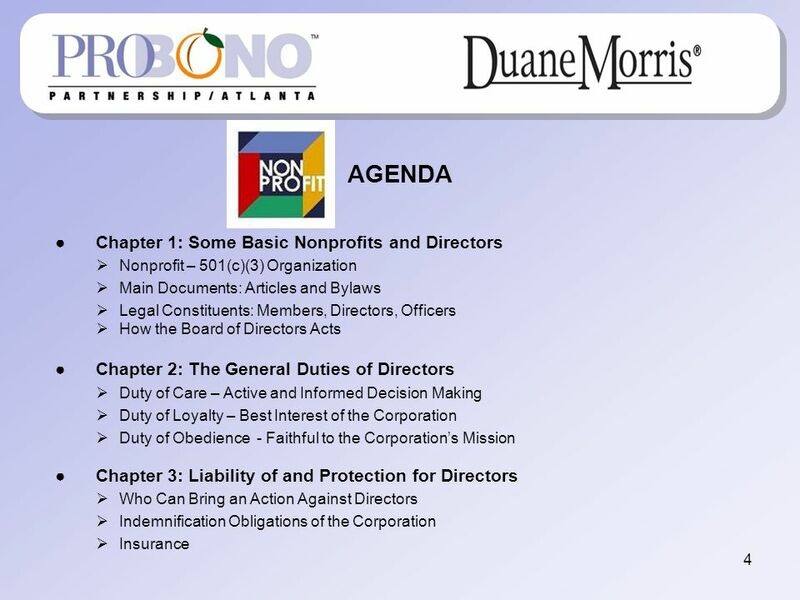 1 LEGAL RESPONSIBILITIES OF BOARD MEMBERS Mona Maerz – Duane Morris October 7, 2009 *This paper is not intended as legal advice for any specific person or circumstance, but rather a general treatment of the topics discussed. 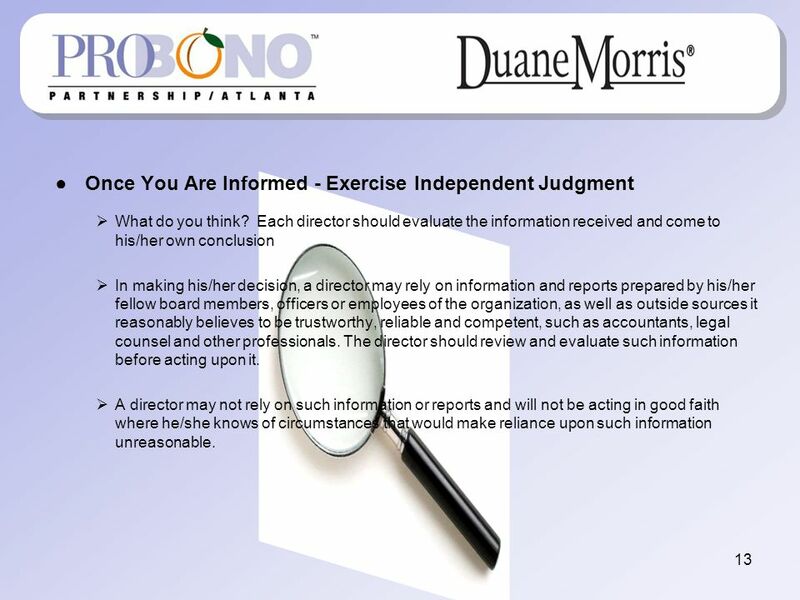 The views and opinions expressed in this paper are those of the author only and not of Duane Morris LLP. 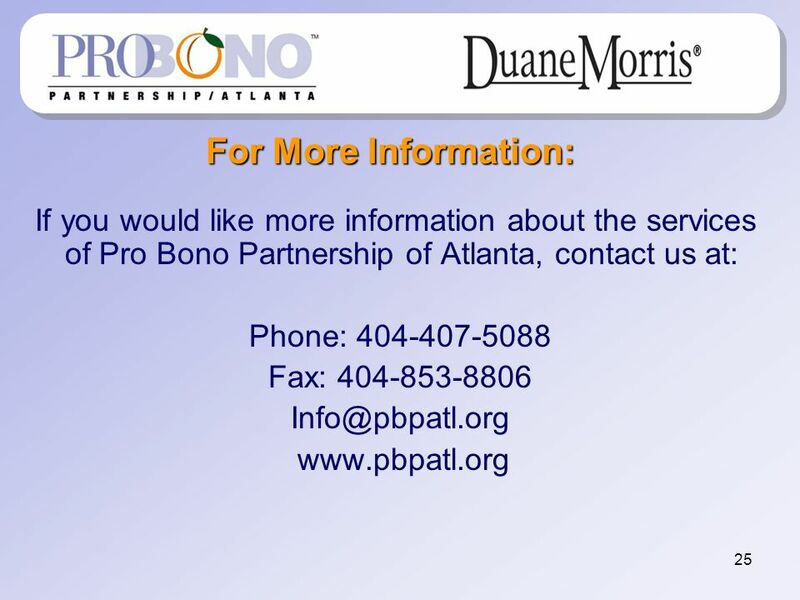 Please consult with an accountant and seek legal counsel if there are any specific questions. 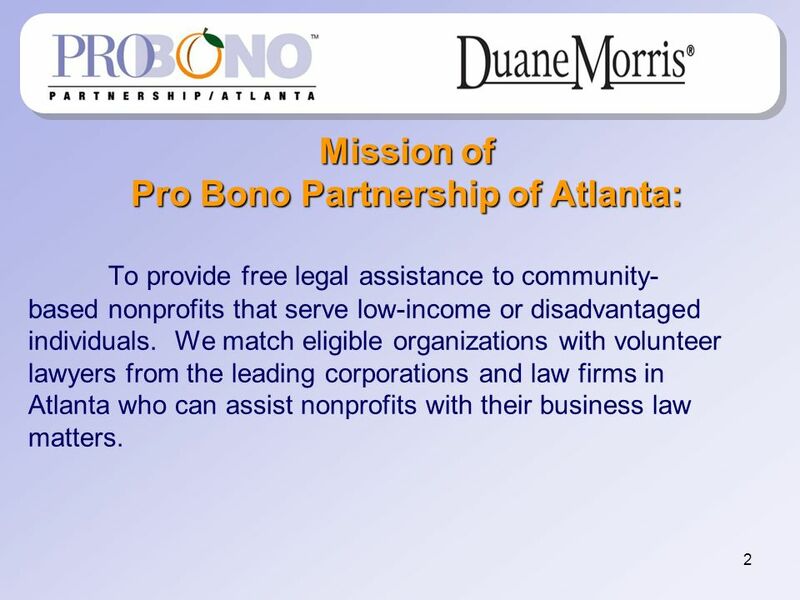 2 2 Mission of Pro Bono Partnership of Atlanta: To provide free legal assistance to community- based nonprofits that serve low-income or disadvantaged individuals. 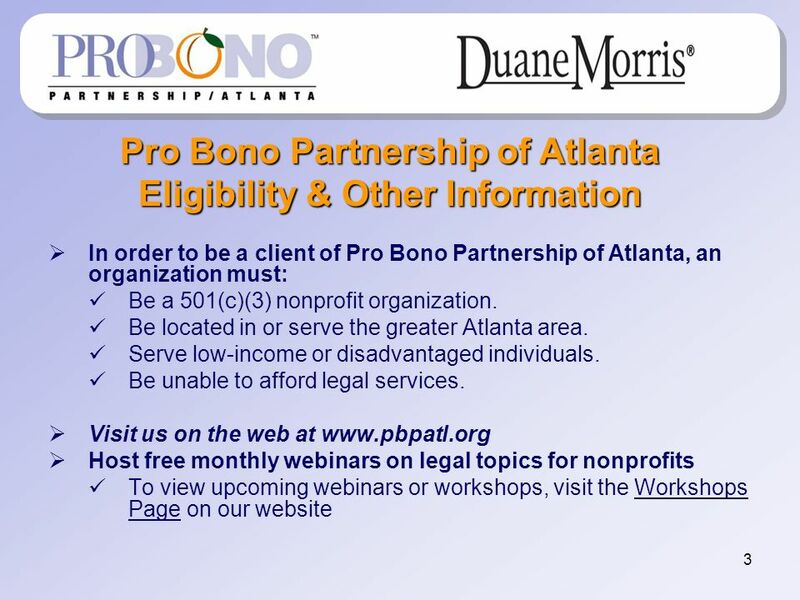 We match eligible organizations with volunteer lawyers from the leading corporations and law firms in Atlanta who can assist nonprofits with their business law matters. 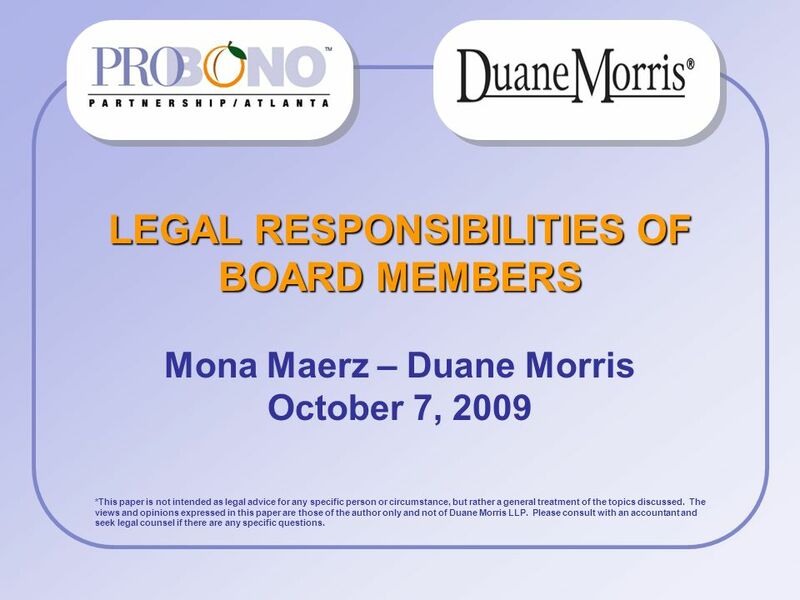 Download ppt "LEGAL RESPONSIBILITIES OF BOARD MEMBERS Mona Maerz – Duane Morris October 7, 2009 *This paper is not intended as legal advice for any specific person or." 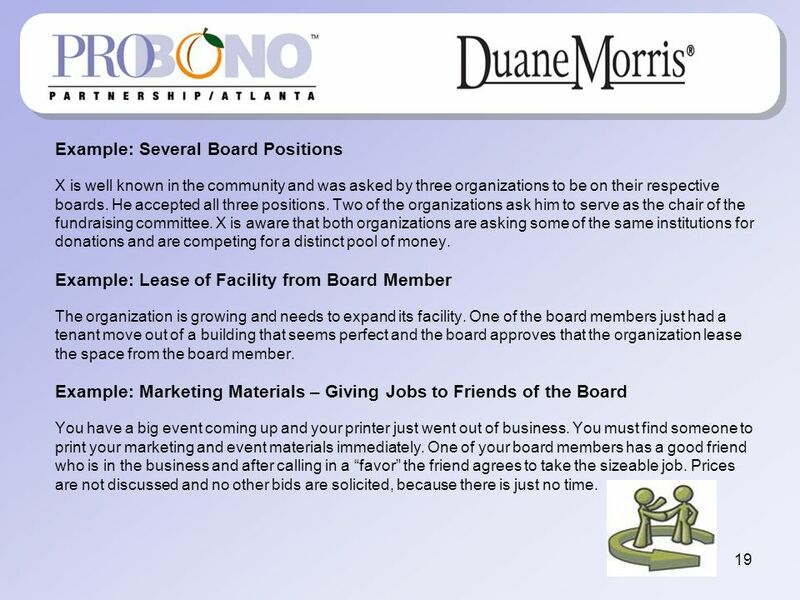 So I’m A Board Member Tell Me More !!! 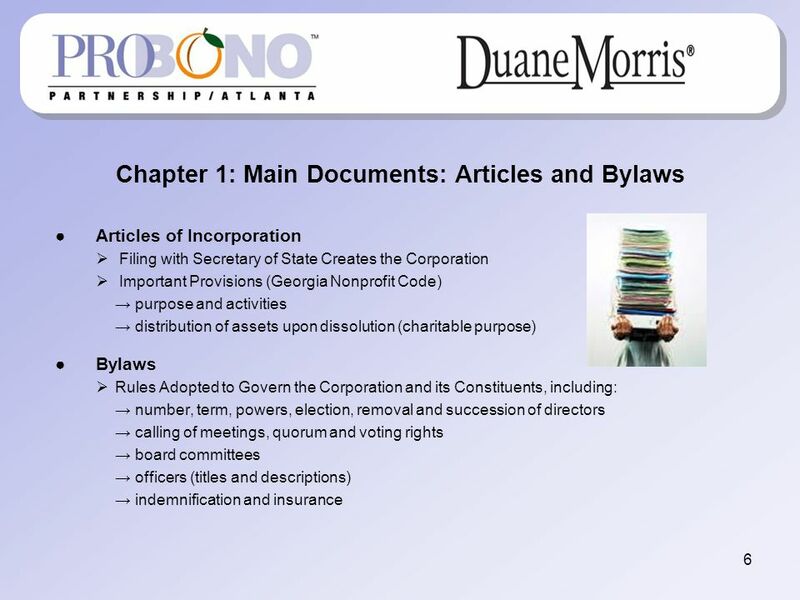 43-1 Copyright © 2013 by The McGraw-Hill Companies, Inc. All rights reserved.McGraw-Hill/Irwin. 1 AUDIT AND AUDIT RESOLUTION Peg Rosenberry, Director of Grants Management Claire Moreno, Audit Liaison, Office of Grants Management 9/18/2009 AMERICORPS. 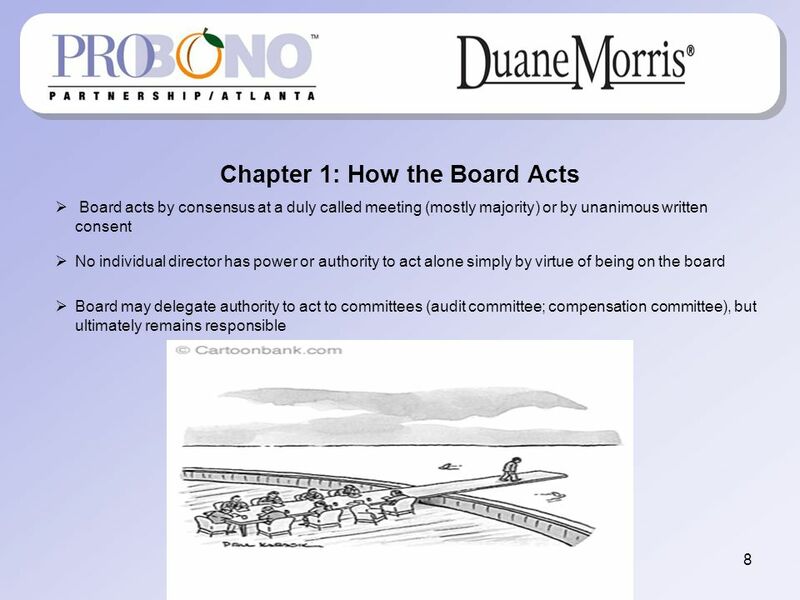 Boards and Governance Recruiting and developing the board of directors. 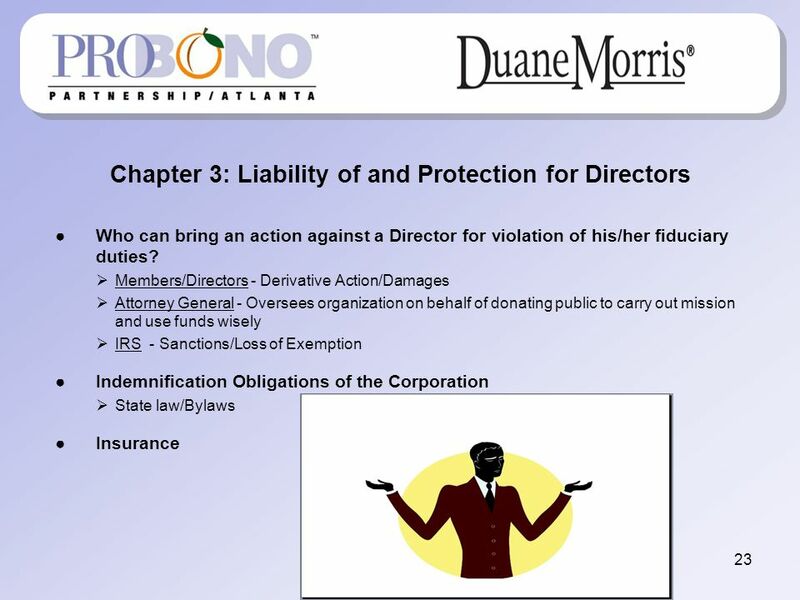 Florida Library Association & Stetson University College of Law Dolly & Homer Hand Law Library Professor Rebecca S. Trammell. 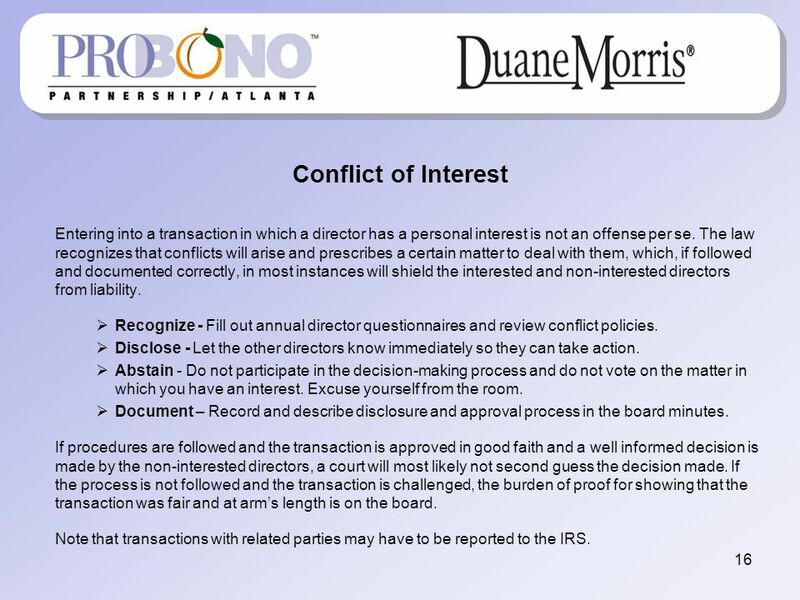 Conflict of Interest, Conflict of Commitment, and Outside Activities UTSA HOP 1.33 Non-covered UTSA staff 1. 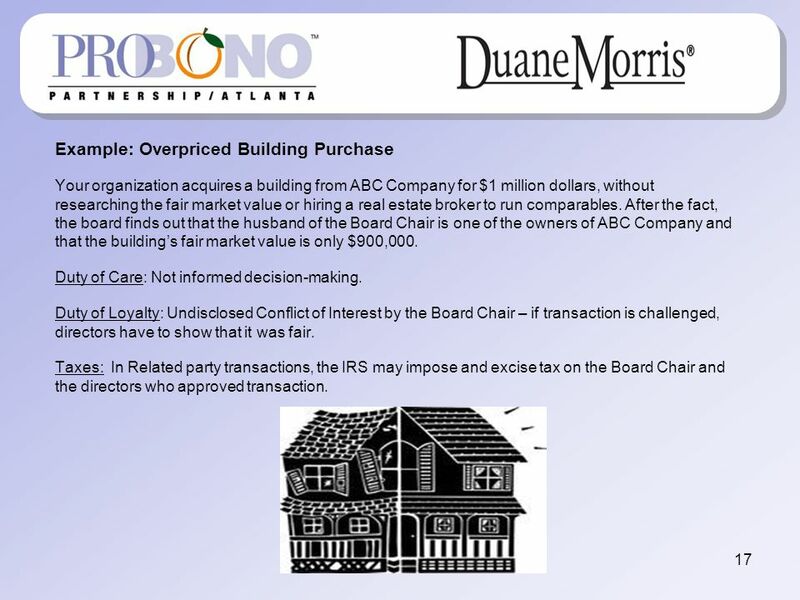 501(c)(3) Terry Dean, CPA Assistant Superintended of Finance 02/01/2012. 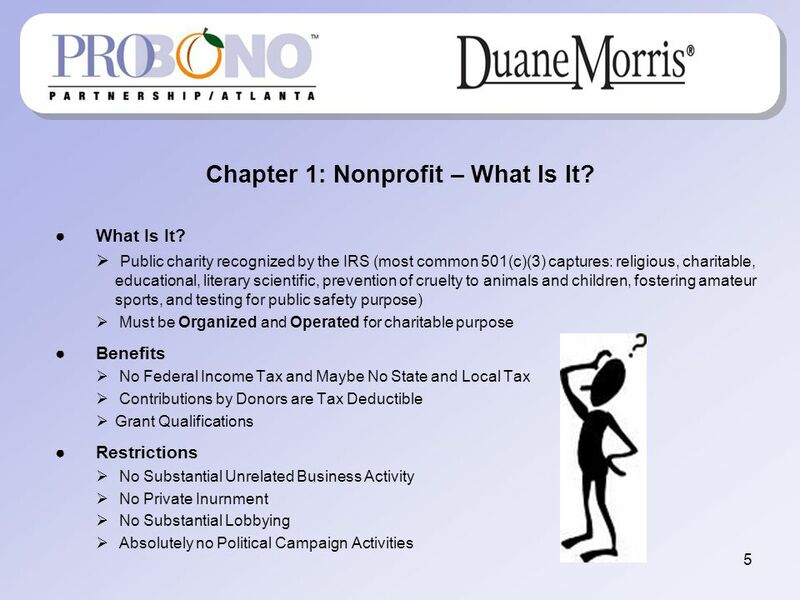 Nonprofit Organizations in Maine Maine Office of the Attorney General Linda J. Conti May 21, 2009. 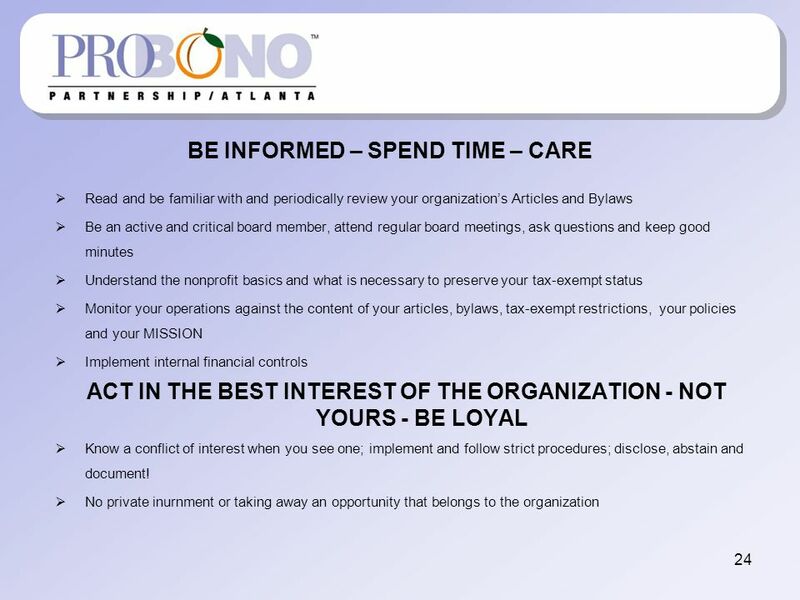 PRESIDENT & VICE PRESIDENT Roles and Responsibilities Robin Fenton Director, Chapter Support. 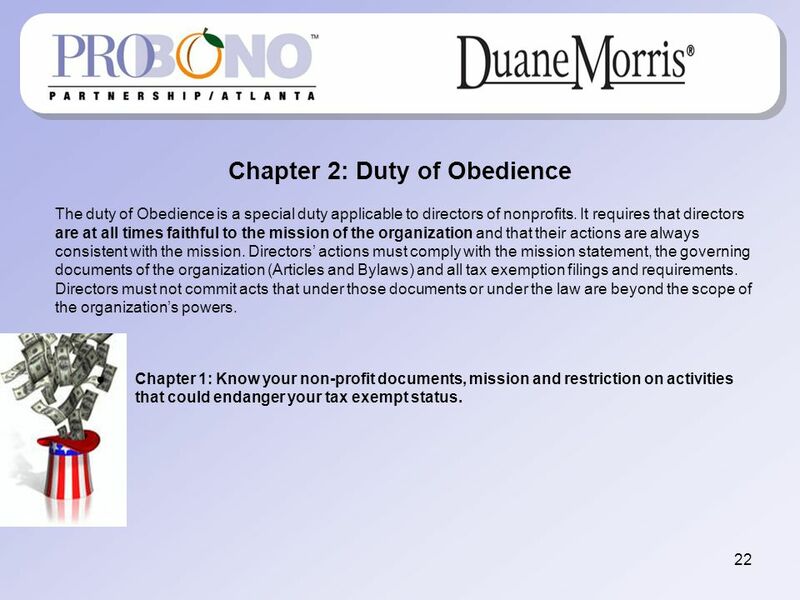 S OUTHWEST B ORDER N ONPROFIT R ESOURCE C ENTER THE UNIVERSITY OF TEXAS-PAN AMERICAN Starting a Nonprofit. 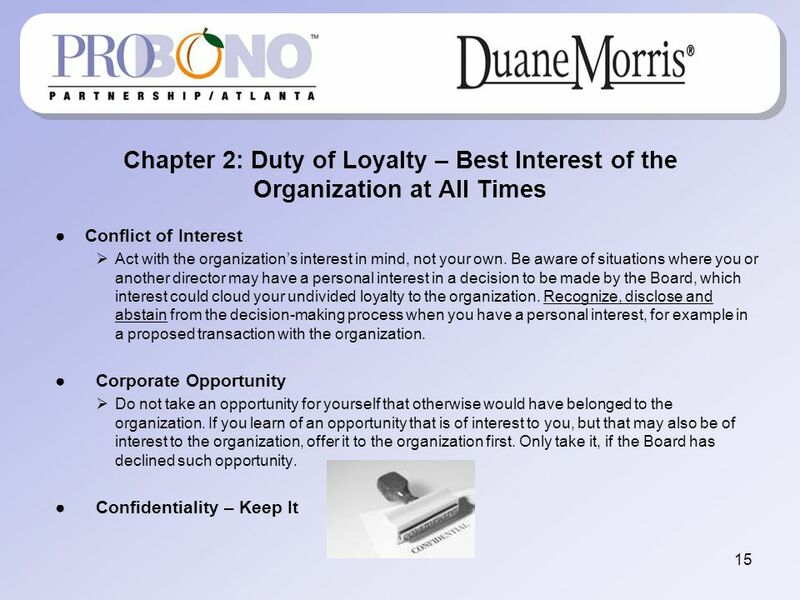 Exposure to Trustees, Officers Employees and The University Liability, Immunity, Indemnity and Fiduciary Issues 1. 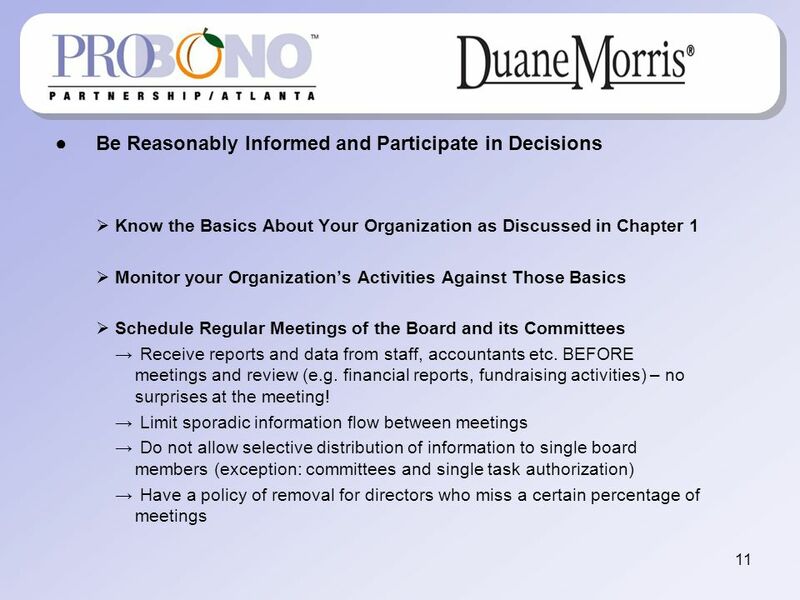 Chapter Financial Management Training. 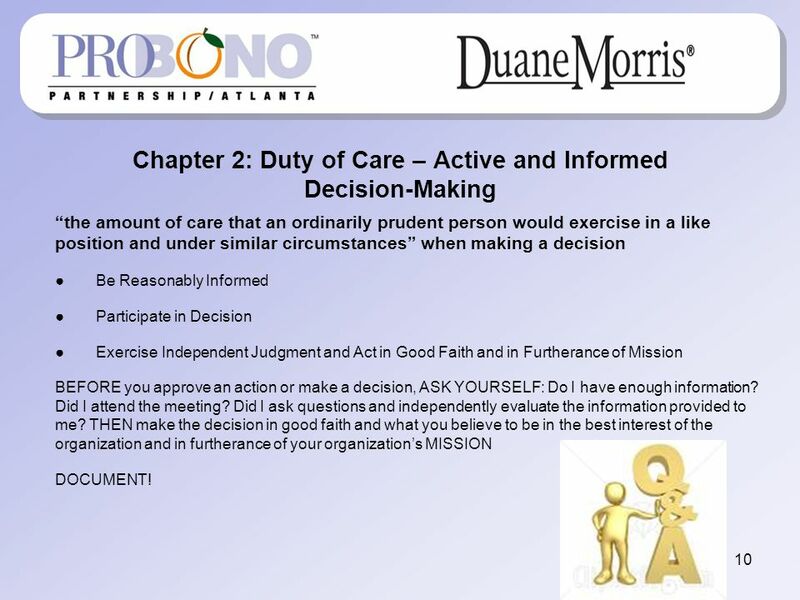  Operate Chapter per the Board of Directors Approved Manual for Chapter Operations. 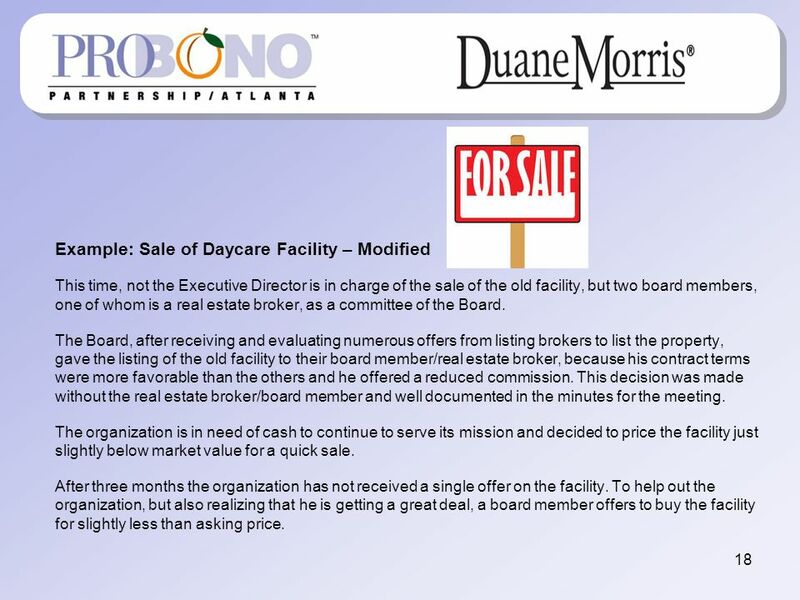  Chapter Treasurer Duties.